High concentration of iron in water might cause a lot of damage. Both taste and smell of the water change. Substances participated from water result in pipes’ diameter reduction and installation damages. Visible iron coating might be the perfect place for bacteria to grow. Ecoperla Sanitower is a professional filtration system for removing high concentration of iron and manganese from water. Optimally selected filtration bed mix has been used. It is characterized by efficiency and durability.It works without the use of any chemical substances. 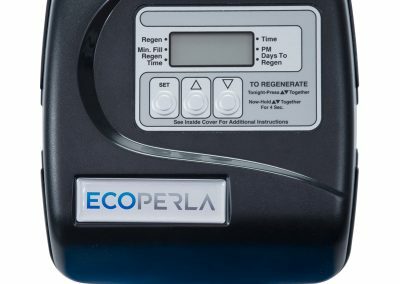 Due to the use of Ecoperla Sanitower efficient reduction of high concentration of iron and manganese in water is possible. 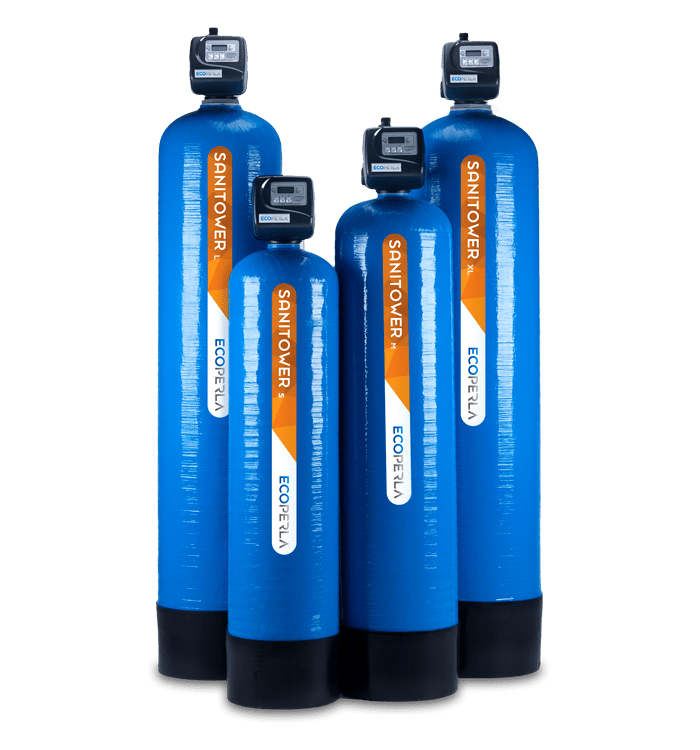 The system is available in four sizes. 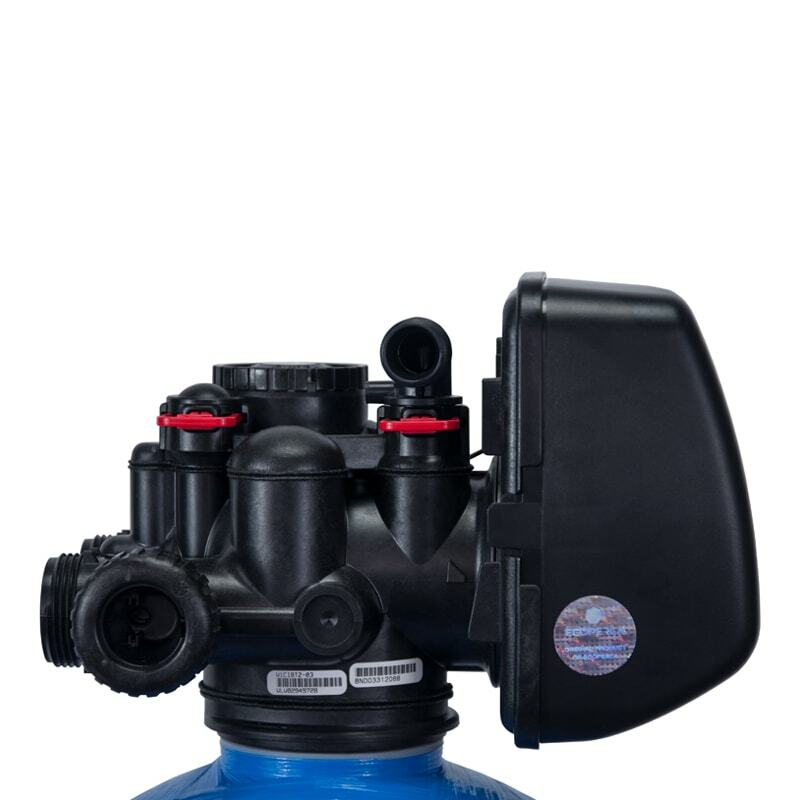 It consists of epoxy bottle with filter bed and reliable American control valve. 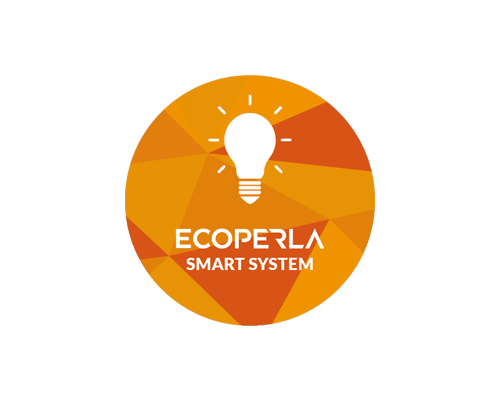 Ecoprla Sanitower uses innovative Ecoperla Smart System that enables to lower operating costs. 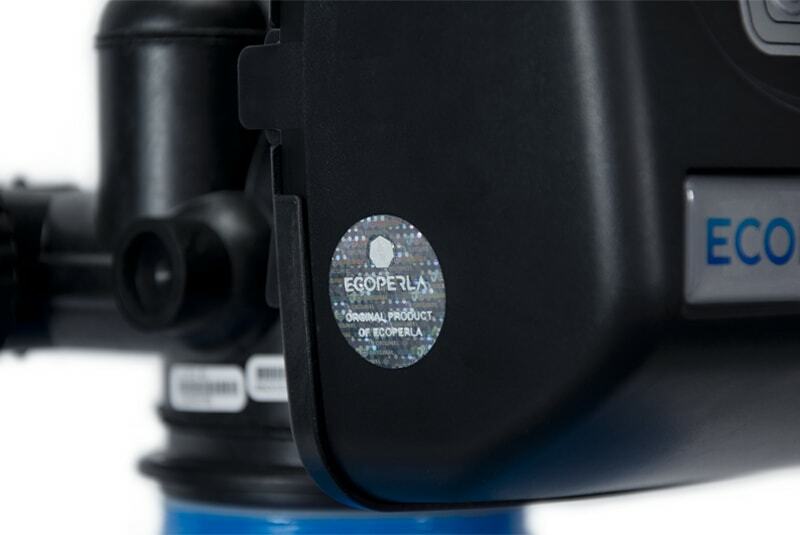 Ecoperla Sanitower has a reliable American control valve manufactured by a well-known producer Clack. Filter bed used in Ecperla Sanitower is a well-selected mix that accelerates the precipitation of iron and manganese particles from water. 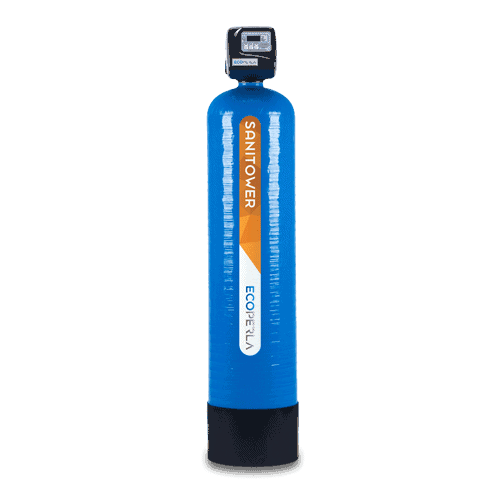 It also removes other mechanical impurities from water. 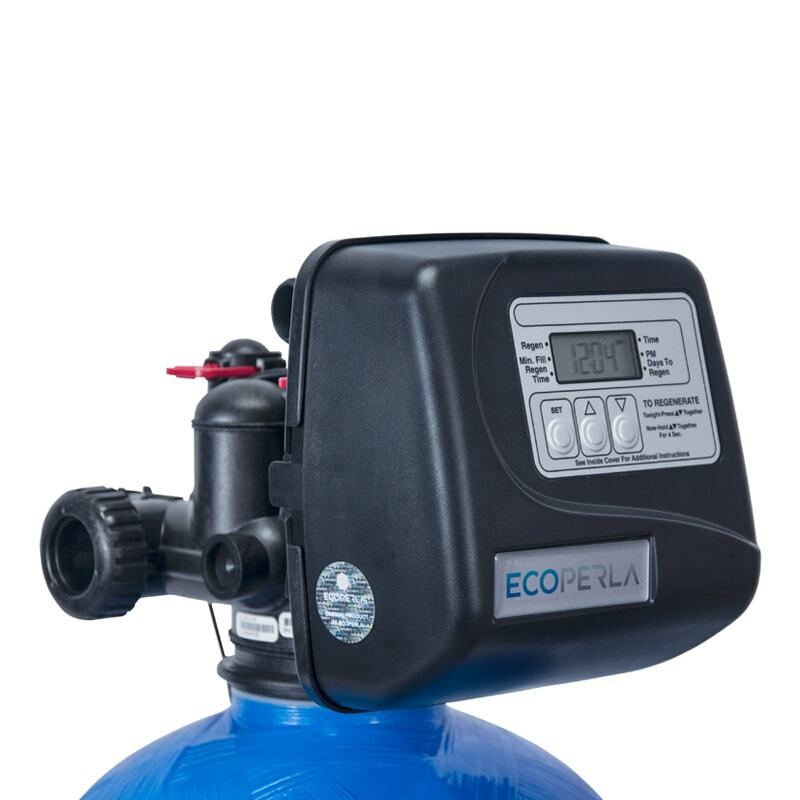 The right selection of the bed amounts will ensure the optimal contact time of water with filter mix. The filter bed is regenerated by co-current flow. No chemical substances are required for regeneration. It is enough to rinse back the bed with aerated water. Presented variations are characterized by different capacities and dimensions. 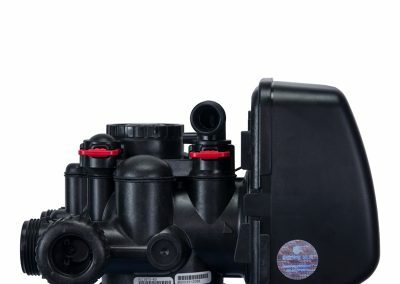 Product selection depends on water parameters and desired system’s performance. 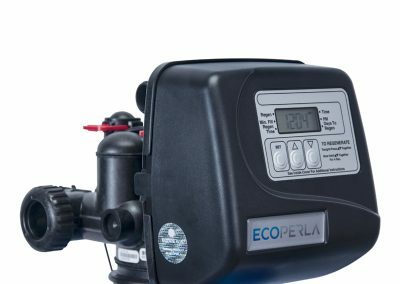 System’s description in a nutshell in other words everything that You need to know before purchasing the water purifier Ecoperla Sanitower. 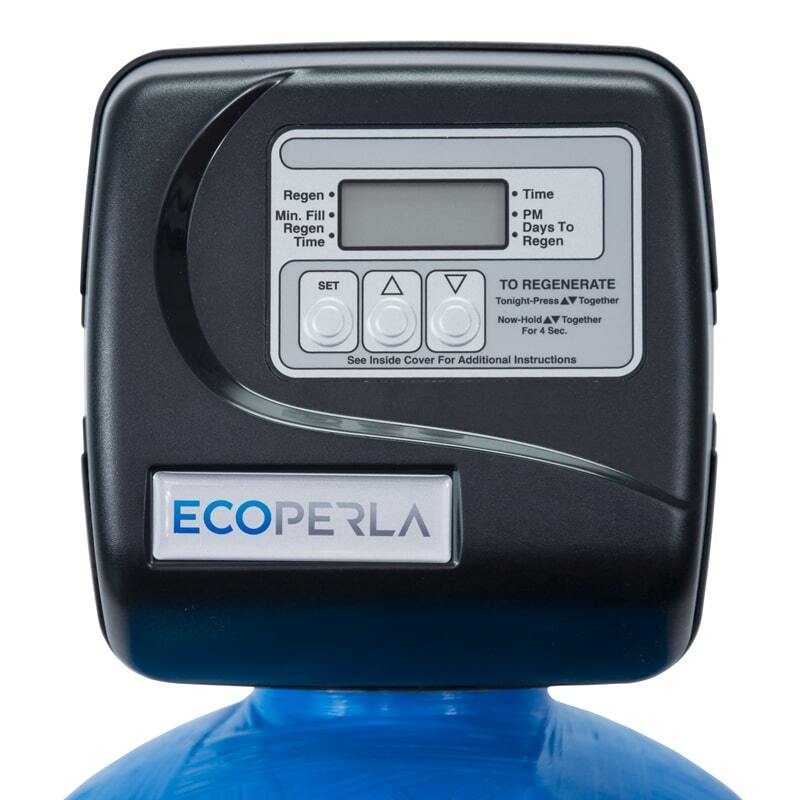 Practical information and technical data about water purifier Ecoperla Sanitower. 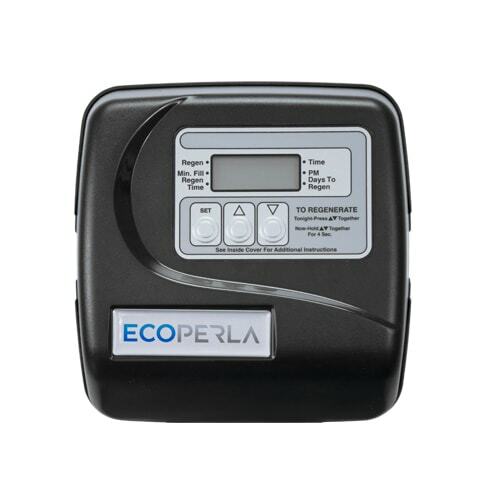 User’s manual for water purifier Ecoperla Sanitower including all the information about the installation.